Projections are a great way for you to see your actual data compared to projected data. 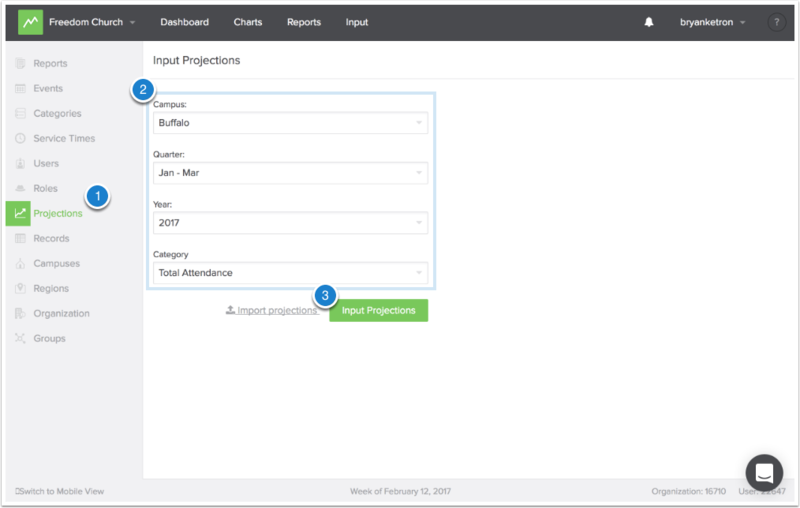 Projections must be entered manually in the admin and can be seen in your reports. From the profile dropdown, select "Admin"
From the Admin, select "Projections". Select the campus, quarter, year, and category you would like to enter projections to. 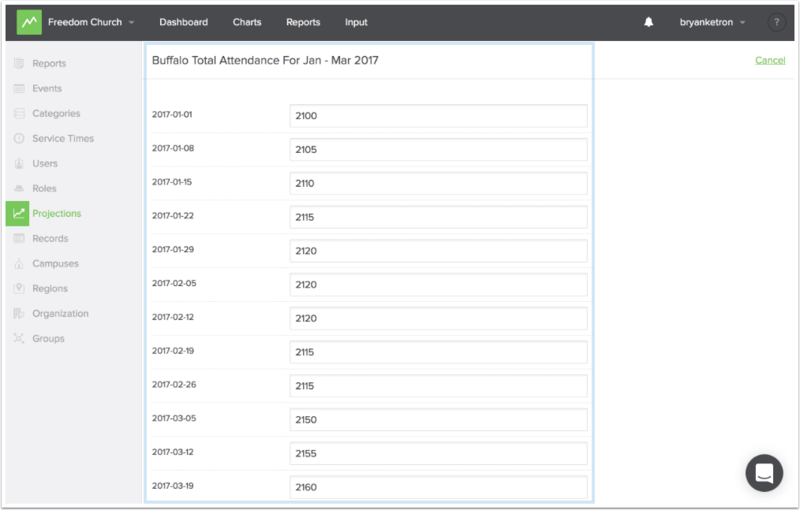 Enter all projections for the time range and category you have selected. 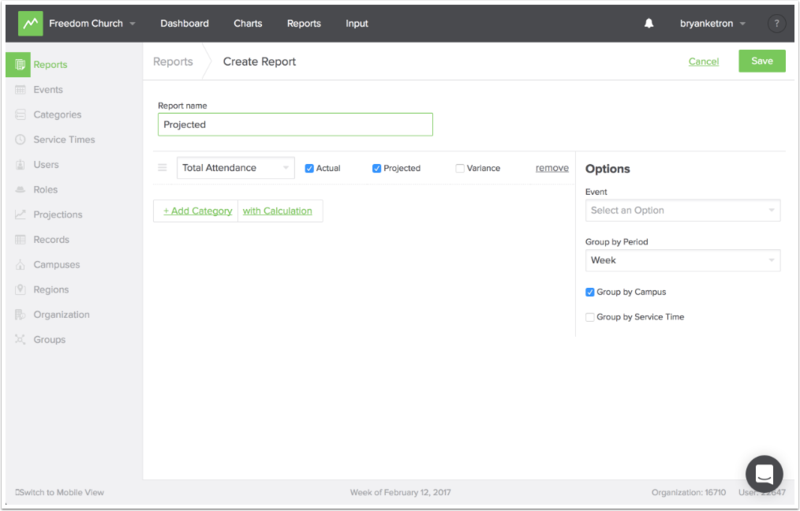 Once you have entered your projections, you will be able to create custom reports that compare your actual data to your projected data.